At last, after many months of negotiation we are pleased to announce the availability for both Training and Hire and Fly of a Cessna 182 retractable. Powered by a 235hp 0-540 Lycoming engine, this is a true 4 seat, 150 knot load lifter! Having just flown the aircraft back from Darwin we now have a good, accurate understanding of how the aeroplane performs. The trip from Darwin to Aldinga via Tennant Creek and Coober Pedy was accomplished in 10.6 hours at an average fuel burn of 46 lph at 9500 feet most of the way. We saw groundspeeds of 135 to 160 knots in what were very light wind conditions, so a solid 150 knot TAS average. The aeroplane carries 285 litres of fuel, and after 4.1 hours from Tennant Creek to Coober Pedy we landed with just over 90 litres of fuel remaining. The aeroplane is also a very good lifter with 550kgs of useful load available. Cosmetically the aeroplane will benefit from a paint job which is planned over the next few months and this will be the opportunity for a new interior too. The aeroplane is offered on the line at a dual hourly rate of $460, and for an introductory period, the very competitive hire and fly hourly rate of $370. Please note that on this aircraft the time is recorded on AIRSWITCH, which means you don’t start paying until the aircraft is airborne and the clock stops on touchdown. That in effect means a 10-15 per cent discount over the more normal engine start to engine stop hobbs time. This is an excellent aircraft to gain both your retractable undercarriage and CSU endorsement. 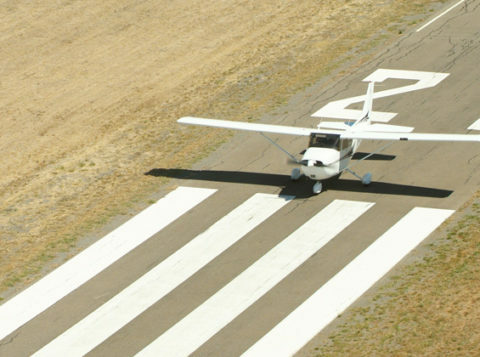 In summary then, a retractable CSU load lifter at a $ per mile price the same as a Cessna 172! Now you can really start to plan those trips with your passengers!